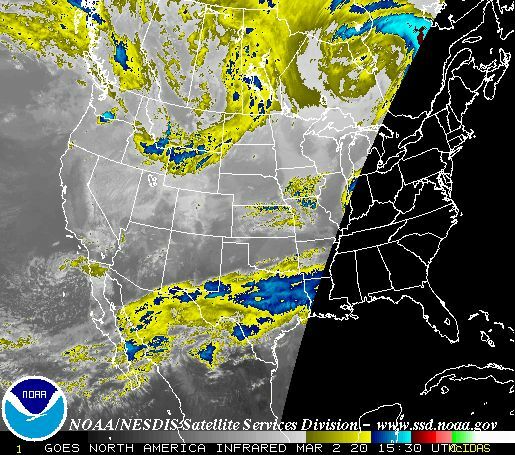 Overnight... Mostly cloudy, with a low around 45. North northwest wind around 5 mph. Thursday... 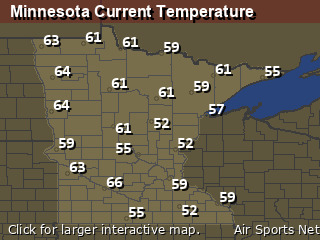 Partly sunny, then gradually becoming sunny, with a high near 66. North northwest wind 10 to 15 mph. Thursday Night... Mostly clear, with a low around 36. Northwest wind 10 to 15 mph. Friday... Sunny, with a high near 57. Northwest wind 10 to 15 mph. Friday Night... A chance of rain showers after 1am, mixing with snow after 5am. Increasing clouds, with a low around 35. North northwest wind 5 to 10 mph becoming east after midnight. Chance of precipitation is 50%. Little or no snow accumulation expected. Saturday... Snow showers likely before 9am, then rain and snow showers likely between 9am and 1pm, then a chance of rain showers after 1pm. Cloudy, with a high near 43. 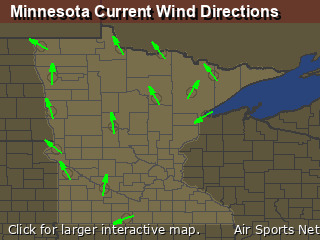 Northeast wind 10 to 15 mph, with gusts as high as 25 mph. Chance of precipitation is 60%. New snow accumulation of less than one inch possible. Saturday Night... Partly cloudy, with a low around 29. North northeast wind 5 to 10 mph. Sunday... A 20 percent chance of rain after 1pm. Partly sunny, with a high near 48. North northeast wind 5 to 10 mph becoming south southeast in the afternoon. Sunday Night... A chance of rain before 1am, then a chance of rain and snow between 1am and 2am, then a chance of snow after 2am. Cloudy, with a low around 33. East southeast wind 5 to 10 mph. Chance of precipitation is 40%. Monday... A chance of snow before 8am, then a chance of rain and snow between 8am and 9am, then a chance of rain after 9am. Mostly cloudy, with a high near 48. North northeast wind around 10 mph. Chance of precipitation is 40%. Monday Night... Mostly cloudy, with a low around 32. North wind 5 to 10 mph. Tuesday... Mostly cloudy, with a high near 50. East northeast wind 5 to 10 mph. Tuesday Night... A 20 percent chance of rain. Mostly cloudy, with a low around 35. East northeast wind 5 to 10 mph. Wednesday... A chance of rain and snow. Mostly cloudy, with a high near 51. East northeast wind around 10 mph. Chance of precipitation is 30%.